What is a Bridge Pier? Any bridge structure is a combination of two components: substructure and super structure. For bridges with bearings, all the components which transfer the loads from bearing to the ground is called substructure. 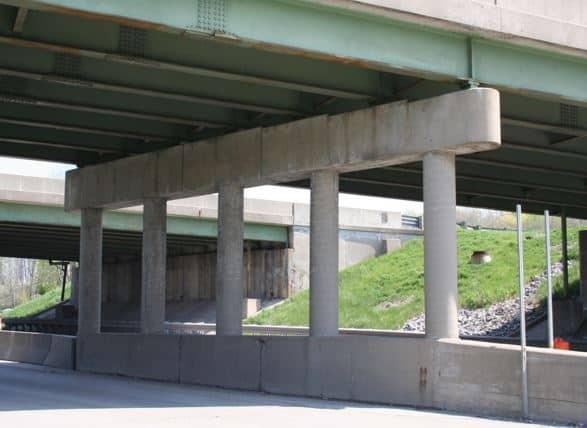 Substructure consists of bridge pier, abutments, wing walls, piles etc. 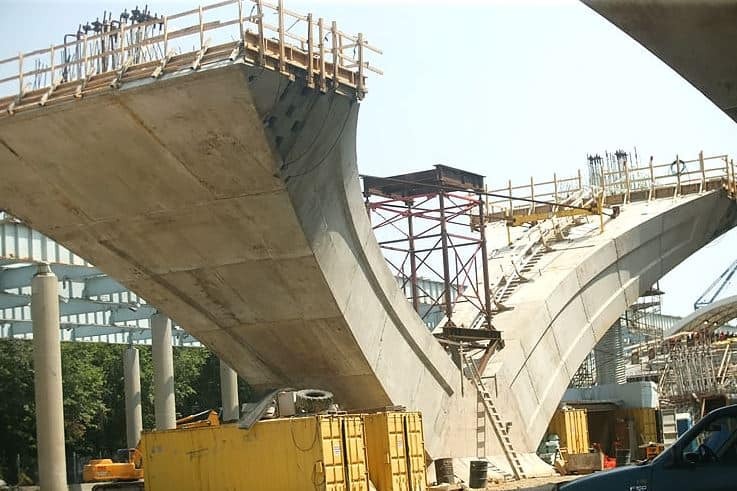 while the superstructure consists of deck, girders or any part on which the traffic moves safely such as road way, girders, arches, etc. In this article we try to discuss about the piers, its function and its types. Bridge Pier support the spans of the bridge and transfer the loads from superstructure to the foundation. Piers should be strong enough to take the both vertical and horizontal load. 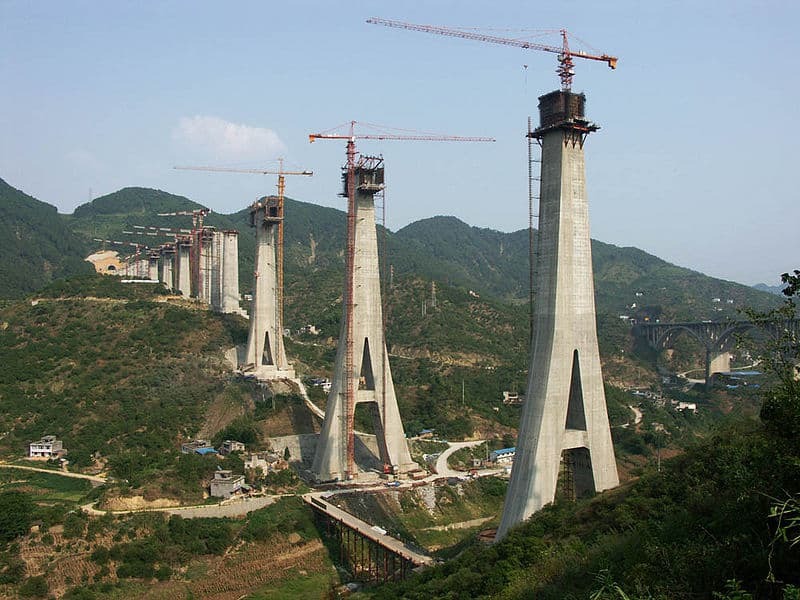 Its main function is to transfer the load from the bridge superstructure foundation below it. They are subjected to huge axial loads and bi-axial moments and shear forces in transverse and longitudinal direction. Said that, pier are usually compression elements of a bridge. Piers are referred as Bents aswell. 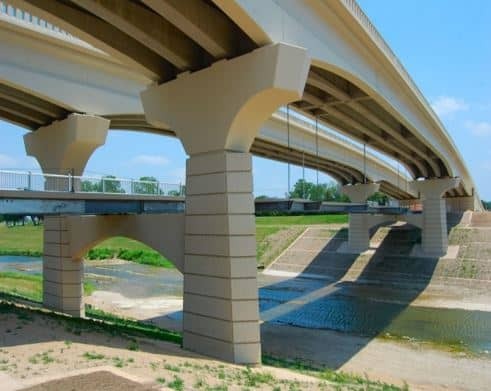 Bridge piers are designed for following design limit states; Service Limit state – Crack width, Stresses in concrete and steel; Ultimate limit state – Ultimate flexure capacity, shear; Extreme Events – Earthquake, Vessel and vehicle impact, fatigue. It should effectively transfer loads from Superstructure to foundation without failure. It should have pleasant appearance. Its design should be simple. The piers should be durable against weathering, impacts and corrosion. The cost of construction should be cheap. It should have stability against the lateral and longitudinal force actions, viz. Seismic, Wind, Ice, Currents, Impacts. The piers which are constructed with brick masonry, stone masonry, concrete etc. are known as solid masonry piers. Sometimes it is seen that in solid masonry piles the outer portion is constructed with the stone masonry and the inner part is filled with the help of mass concrete. In this way it can save the cost of construction. The solid piers which are constructed with the reinforcement are called RCC piers. These piers are generally rectangular in cross-section and are generally used where the height of the piers are more and the solid masonry piers will not be strong enough to bear the load and can be uneconomical. The piers which are constructed with the mild steels or cast iron cylinder in which the concrete are filled are known as cylindrical piers. These are used for bridges having moderate height. 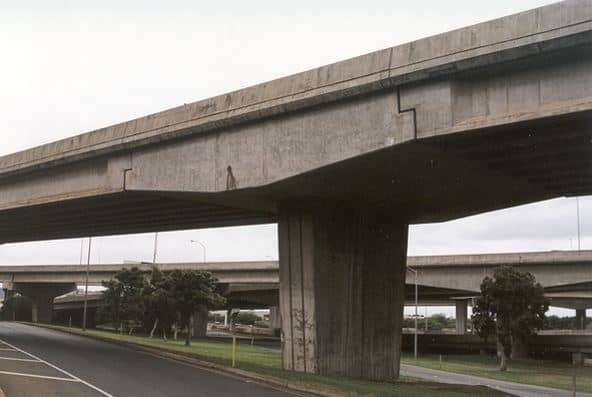 Sometimes horizontal and diagonal steel bracing are also provided for additional stability. These are generally used for the bridges of large height. These are generally constructed over barge services. It consist of column with bent cap at the top. As per the latest recommendation the hinges may also be provided. It is generally used for flyovers and elevated roads. These are suitable for bridges where water current is slow and river bed is sufficiently firm. These are used where the ground is unstable and the low piers are required. In these type of piers number of steel or RCC piles are driven into the ground provided with the cap at their top to support the main girder. It is the common variation of multicolumn bent. It is generally used for the type of bent on low height and short span structure. 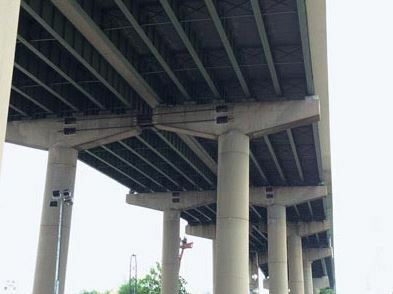 These are the latest type of piers used in the bridges. 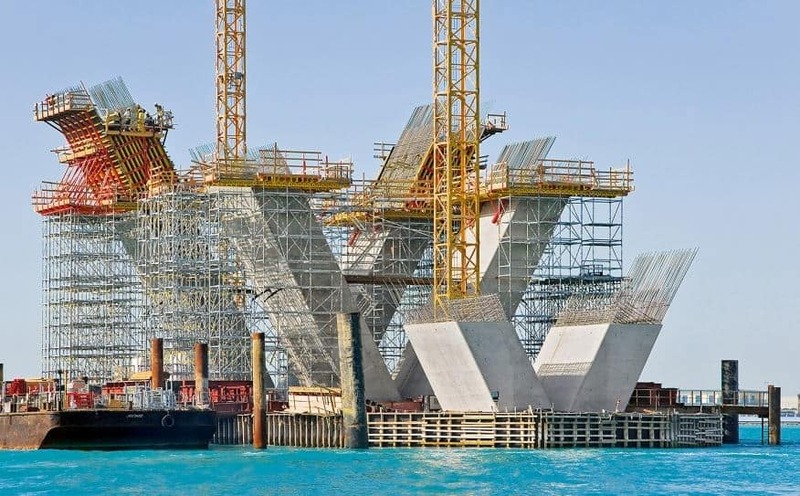 In these piers the effective span length for girders get reduced. Hence the construction will be economical. 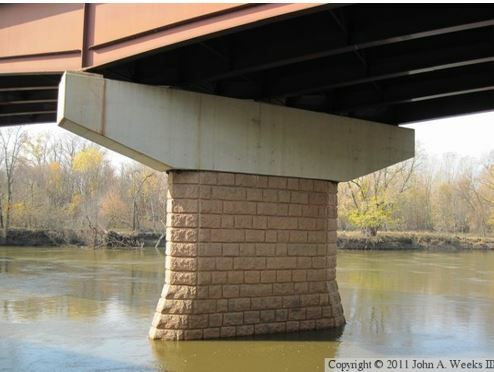 The disadvantage of these type of piers is the accumulations of debris e.g falling trees large floating materials, etc. 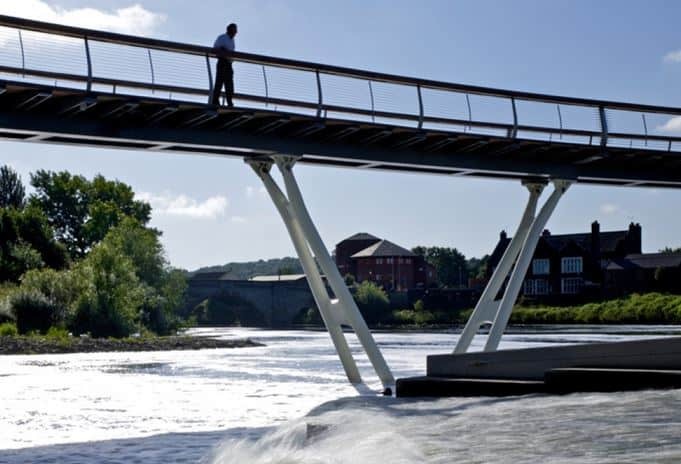 Based on the type of forces the pier is subjected to, bridge piers are classified as Fixed and Free piers. In a most simple explanation, the piers supporting a fixed bearing are called fixed piers and those supporting free bearings are called free piers. Fixed piers are subject to transverse and longitudinal forces whereas free piers transfer only axial forces from the bearing to the foundations. 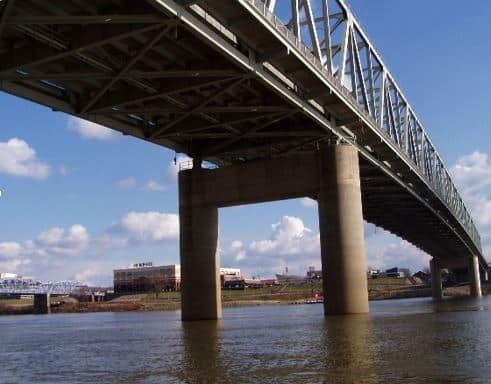 For multispan bridges, the number of fixed and free piers depend on the the length of bridge, size of pier and magnitude of long & trans forces superstructure can be subjected to. For regular multispan continuous bridges under 200-300m one fixed pier is provided. It is also called as solid shaft piers. It have a single solid concrete cross section that support the cap. In this pier, it is seen that the major axis of the pier and the direction of steam flow is approximately same. It is recommended to use circular or small rectangular cross section when the flow is not in the same direction as the major axis. Spread footing are generally used for this type of piers. It has two or more column that support the cap. There is a problem of debris collection when the water is allowed to flow between the columns. Combined footing may be used where the column spacing is less & isolated footing where the spacing is greater. It also known as frame bent. 1 What is a Bridge Pier?